Are demonstrations still an effective form of protest? Katherine Russell in Causes on 20 November, 2017. If you browse the recent news, it can seem like a game of ideological ping-pong. There are numerous reactionary groups- when there is the ignition of an idea, and what follows is the mobilisation of members can be used to send a message to the masses. One very common tactic is to stage a demonstration- in other words bringing together people to take a stand about a certain issue. 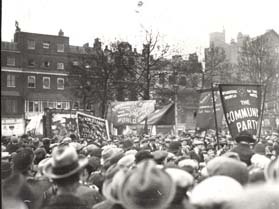 Rally in Hyde Park (1926). Available for commercial use. This method has a long history. Way back in 195 BC, women of Rome successfully lobbied to get the Lex Oppia repealed by storming the forum. Granted, this move had less to do with social justice or human rights, and more to do with gold and fashion, but it serves as a reminder that sheer force of people can be enough to exact change. Now, there is the question of whether this sort of collective behaviour is still effective today. The suffrage and civil rights movements both benefited from a turnout of a large group of marginalised people, and a common pattern in protesting is for those who have fewer rights and less power. However these days, power is unequivocally more balanced than ever before. We still haven’t reached a point where everyone’s identity is seen as equal, but people can affect how a lot of countries are run by voting or affecting the political system. Still, demonstrations are covered extensively by the news, and this makes protesting a dangerous game to play. The feeling you get as being part of a crowd is termed “collective effervescence”, and stems from the fact that humans are a social species. A mass of people can cause deindividuation and behaviour to change, as a result there is the risk of things getting out of hand. Vandalism and assault are repeatedly shown as being part of the process of activism, consequently alienating people from the cause. You might remember the 2011 riots, which were caused by delinquents using a genuine issue to create destruction. But bad news sells better than good news. 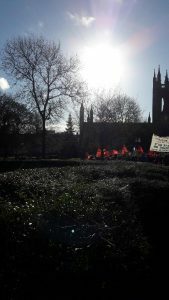 There are still a lot of demonstrations that remain positive and send the right message to the wider community. 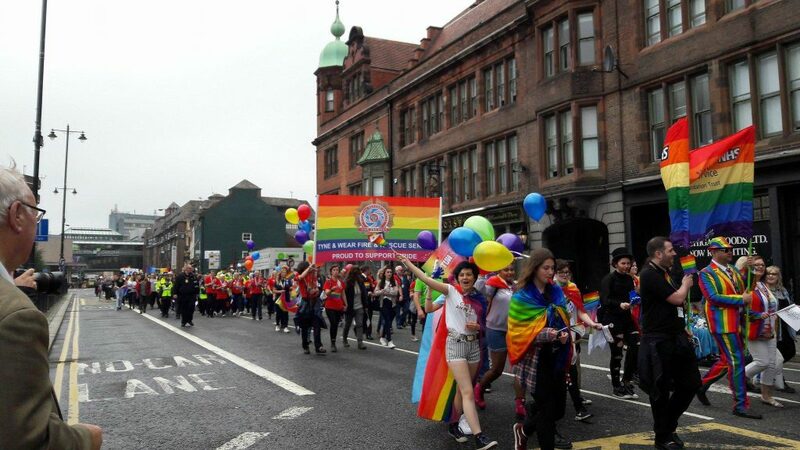 A good example is pride marches, which celebrate LGBT people. The practice has spread across the world, and demonstrates the solidarity and personality of the people who march. There was also the Women’s Marches this year, with the net result of public reaction being positive. Altogether, demonstrating is a very noticeable and quite forceful way to get a point across. It has been used as a tactic for many different reasons, but there still exists this thin line between rallying others to join a cause and pushing them to the other side.